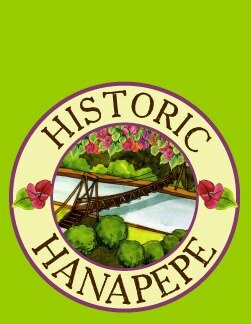 On April 1st and 2nd, residents and visitors of Hanapepe, Kauai will be able to attend the Kauai Orchid & Art Festival at Hanapepe Town Park and surrounding areas. The Kauai Orchid & Art Festival showcases beautiful, exotic, and tropical orchids as well as gorgeous art by Plein Air painters (outdoor paint artists) from all over Hawaii, and it features many fun festivities to welcome the arrival of spring. The Kauai Orchid & Art Festival is part flower show, part juried art exhibition, and part arts and crafts exhibit (along with a little bit of fair and festival thrown in). It’s a family-oriented event that includes activities, workshops (including cooking workshops focusing on vanilla – the only edible orchid), music, and charitable fundraising events held over the course of two days. Saturday’s Spring Fantasy Orchid Show begins at 9 a.m. and ends at 4 p.m. Kids can work on art projects from noon to 4 p.m. at the Hanapepe Hawaiian Congregational Church and fundraisers will take place to help raise money for diabetes. As part of Saturday’s Orchid Festival, there will be a guided walking tour of historic Hanapepe Town at 10 a.m., an Exotic Orchid Watercolor Painting workshop at Hawaiian Congregational Church (from 10 a.m. to 1 p.m. for a fee), and a free concert at the Hanapepe Hawaiian Congregational Church featuring Noon Taiko Drummers, Paul Togioka, and Makana. To learn more about the Kauai Orchid and Art Festival, you can visit the Hanapepe website. Do check the website before the festival to confirm dates, activities, and event times.